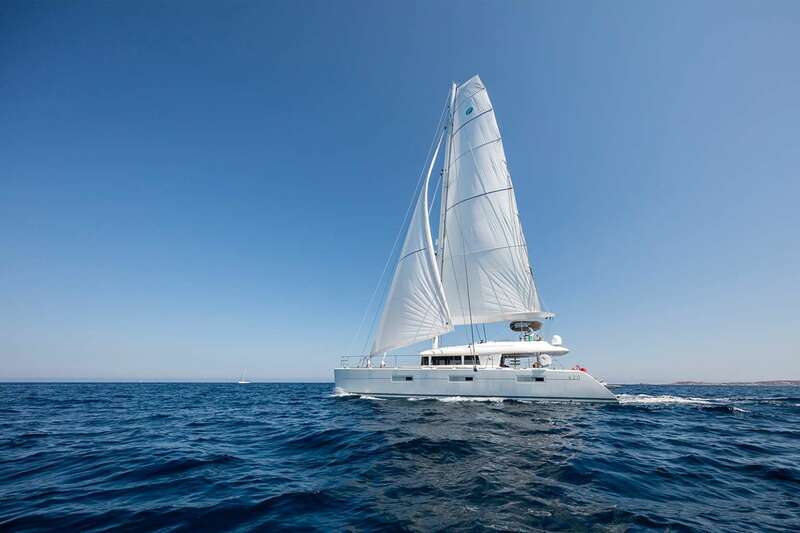 Twin, is a new, 62ft Lagoon, sailing catamaran launched in the spring of 2015. 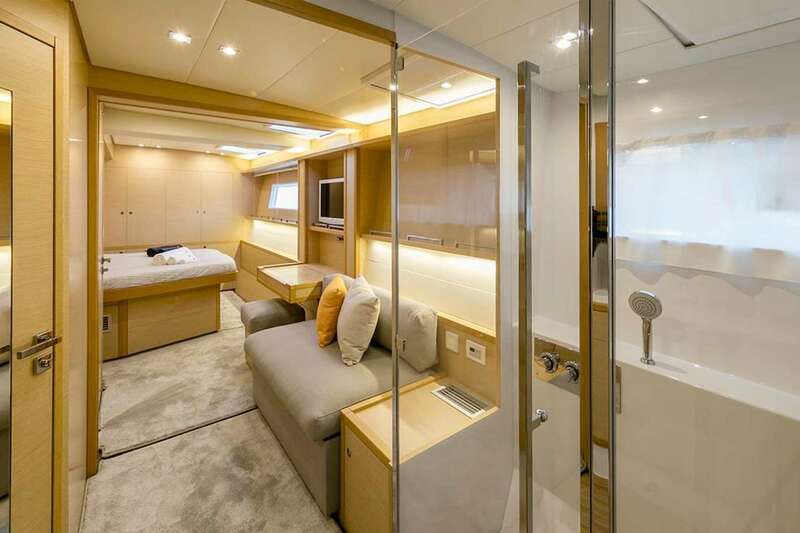 She is of the highest quality and will guarantee a luxurious, exciting time for all passengers. 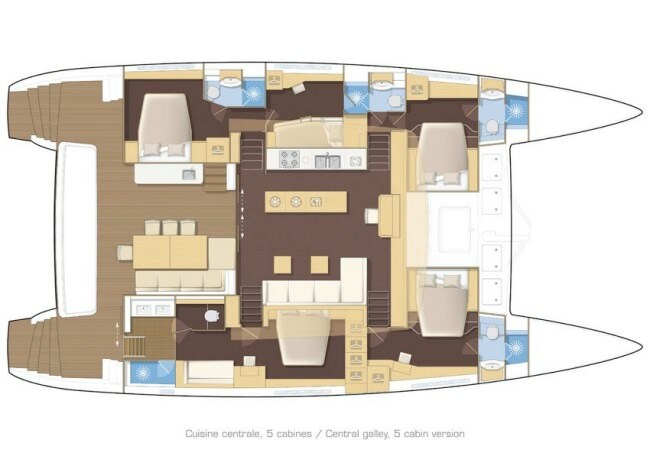 Twin has a very modern and spacious interior living room/saloon, with a large sofa for relaxing and 2 low tables that convert into a large dining area. 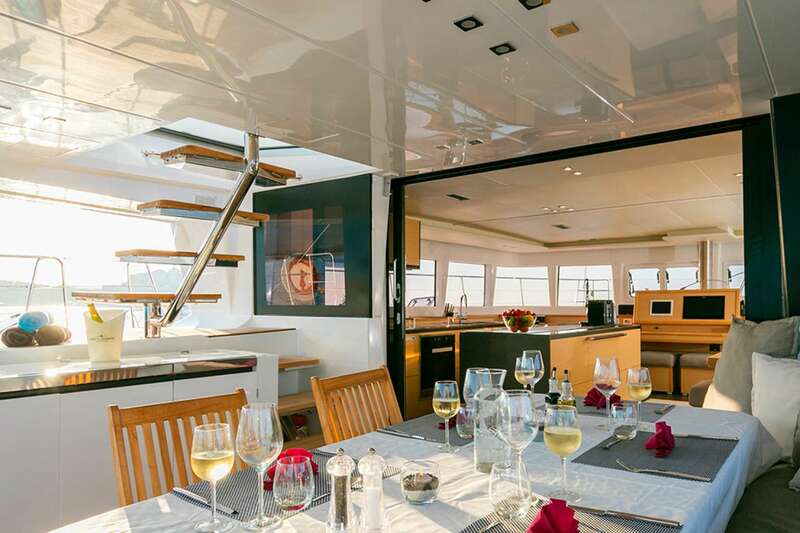 The galley is located in the saloon and offers a very welcoming and warm atmosphere for unforgettable moments with your chef. 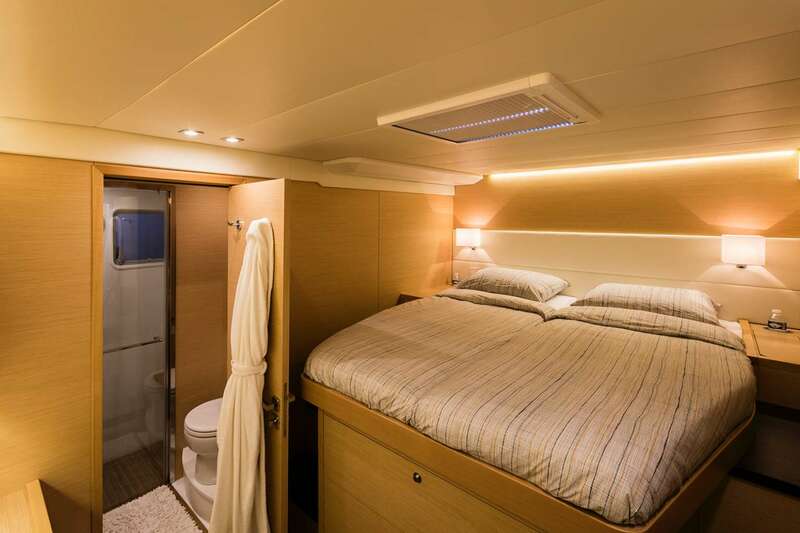 You will find a master suite equipped with extensive closet space as well as a spacious bathroom with independent access to the cockpit; In addition Twin boasts 3 deluxe double cabins, all with ensuite bathroom. 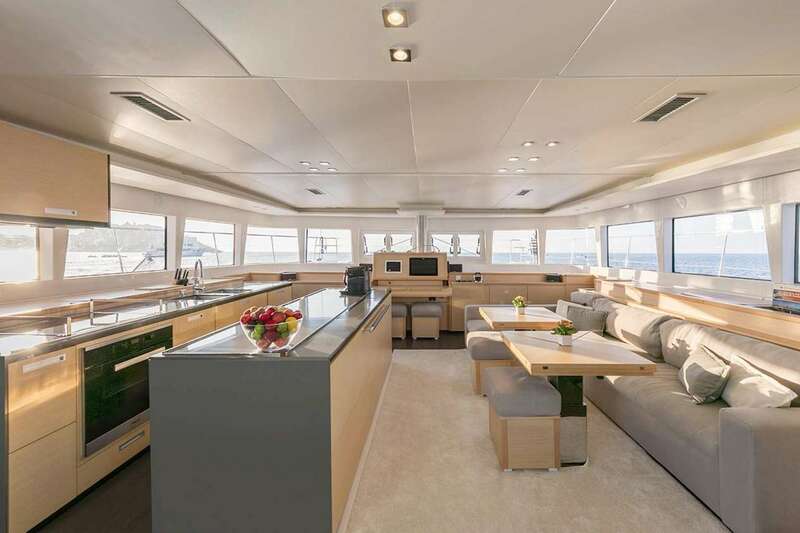 Her large windows allow panoramic views and she has a very comfortable shaded cockpit with a large dining table for eating outside. 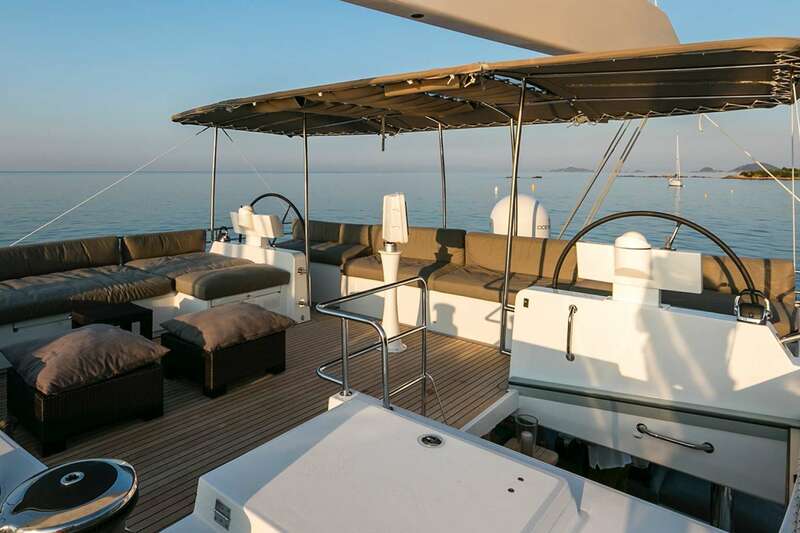 Twin is bright and airy throughout which makes every moment enjoyable, from sunrise to sunset.The flybridge offers a luxury sunbathing area and separate shaded area beneath the bimini for sun protection while relaxing. 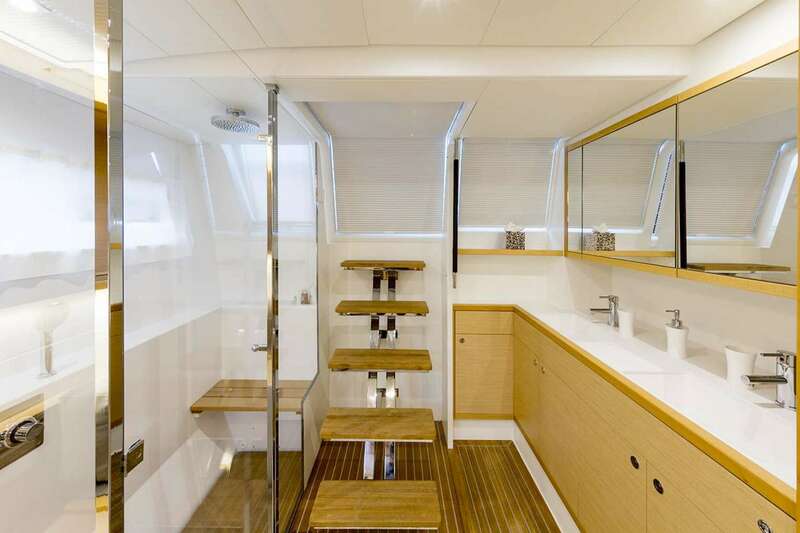 Teak decks wrap around this yacht providing a luxurious finish wherever you are walking, sitting or relaxing. 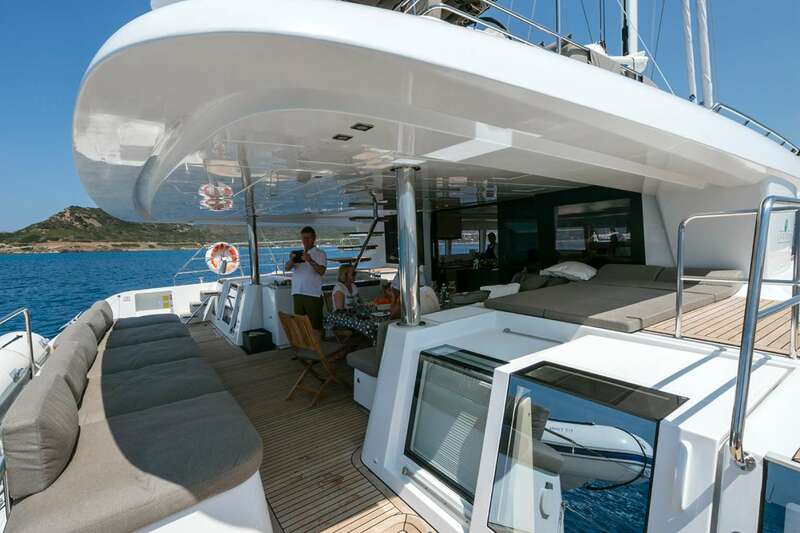 The trampolines at the front of the yacht provide an excellent place to enjoy the sailing and sunbathing. 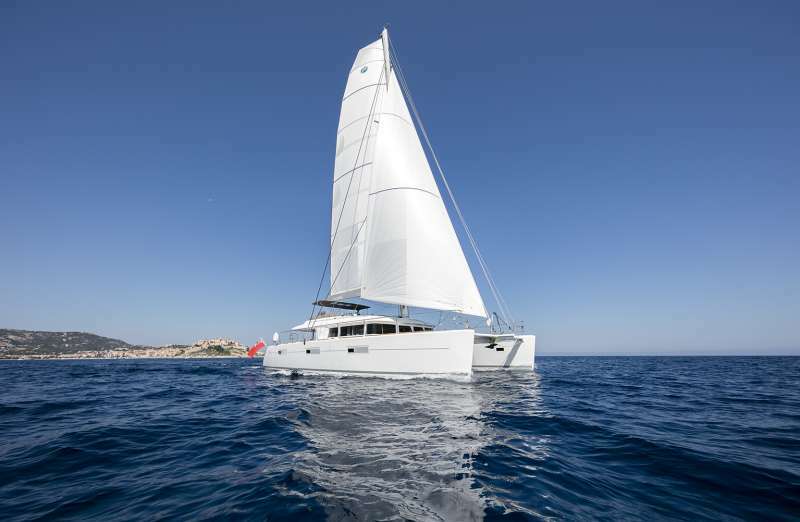 There is plenty of space onboard Twin for everyone, whether you enjoy relaxing, sailing with the captain or enjoying a freshly made cocktail.This catamaran is perfect for families, groups of friends as well as for a more romantic get-away.The crew are always ready and keen to welcome your guests and entertain children as well as the adults with all the water toys and vast equipment onboard. 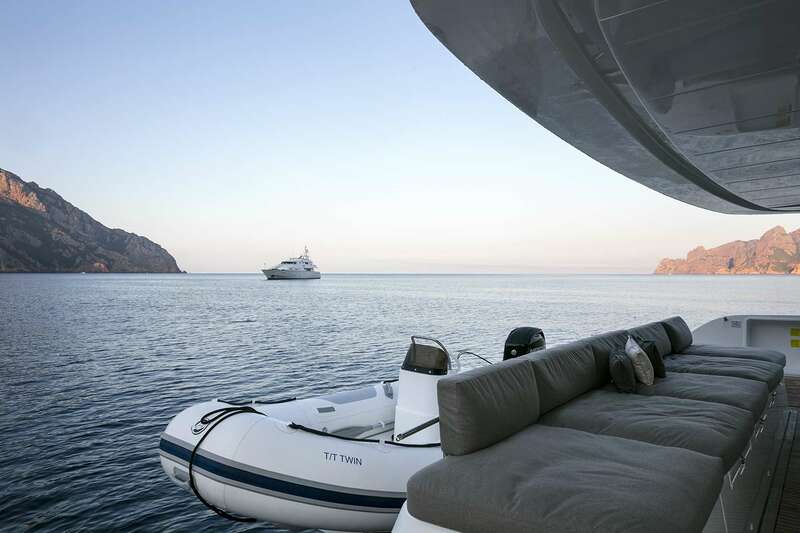 With its first class service guaranteed, Twin guarantees a memorable, first class, charter experience. 3 CREW MEMBERS: STEFAN, CHLOE AND JAKE. Chloe and Stefan have lived, cruised and worked together for over 10 years. 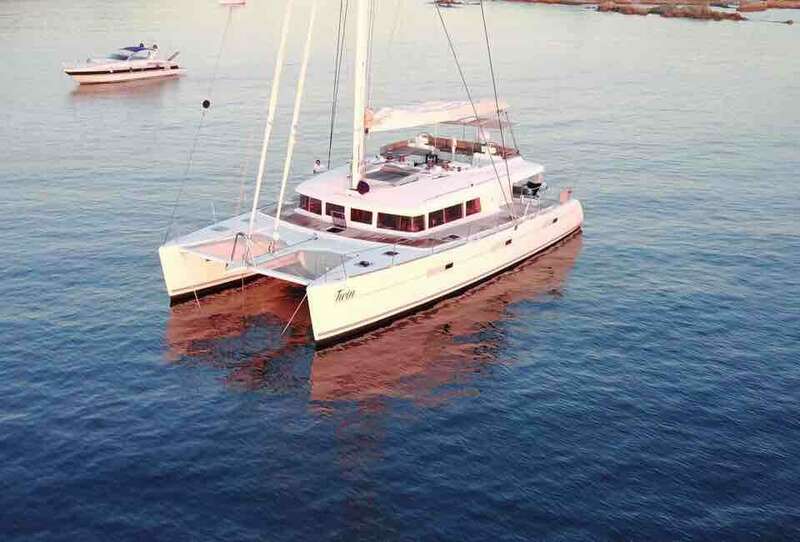 They have sailed over 45,000 nm between them on their own yachts (including the Pacific, Indian Ocean, Red Sea and Mediterranean) and have hosted charters on 43-50ft monohulls and catamarans in the Caribbean and Latin America. Stefan was born in Berlin, Germany, and developed a love of the wind and sea as a teenager, sailing his first dingy at the age of 16. He got his masters in Mechanical Engineering and has worked for Daimler-Benz, Procter & Gamble, GM and Connex; which lead him to a career in managing specialist multimillion dollar engineering projects in Australia - the only piece of land he considers home. 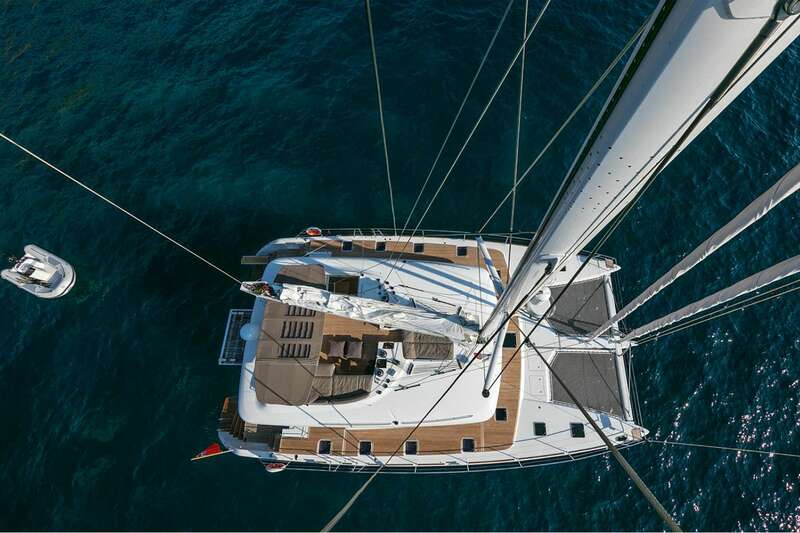 His first love was always the ocean, however, so he decided to return to Europe the slow way; on his own yacht over the Pacific Ocean, getting as far as Bali before meeting Chloe, which changed his life's path forever. 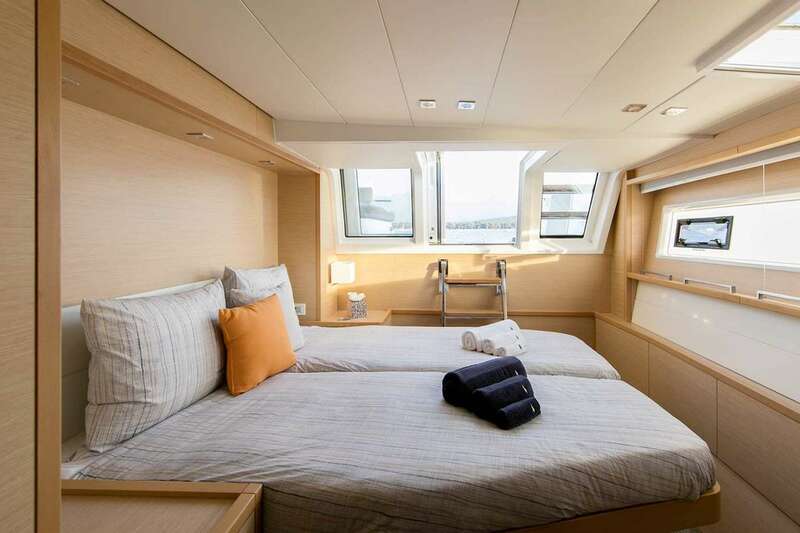 Stefan continued sailing with Chloe over the Indian Ocean, Red Sea and the Mediterranean to the Canary Islands, where he decided it was time for a new project so started designing and building luxurious houseboats in Berlin. 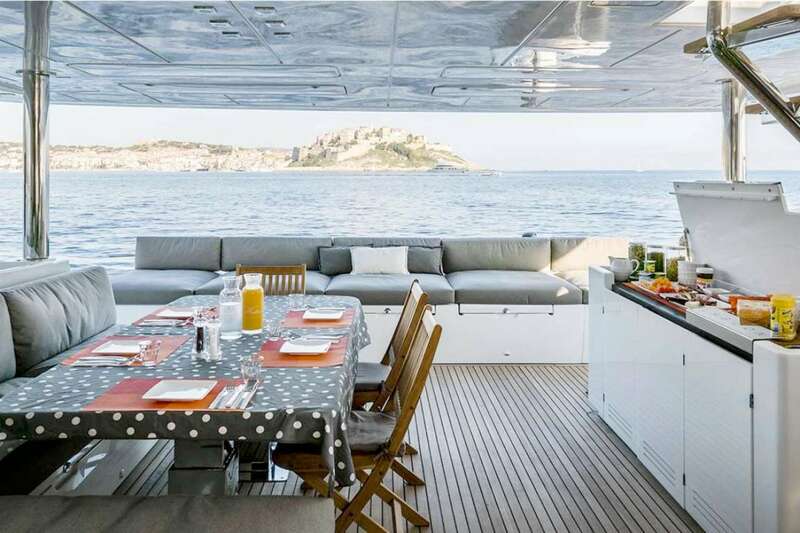 He loved the business but missed the ocean, so 13 houseboats later, Chloe and Stefan bought yet another sailing yacht to cruise the Caribbean. In his free time, Stefan is a bit of a merman: Scuba Divemaster, free diver, kite surfer, surfer, windsurfer, spear fisher,...and guitarist. Chloe was born in London, England and had a professional career in project management before developing an aversion to chairs and retrained to become a teacher, working for various charities and universities. 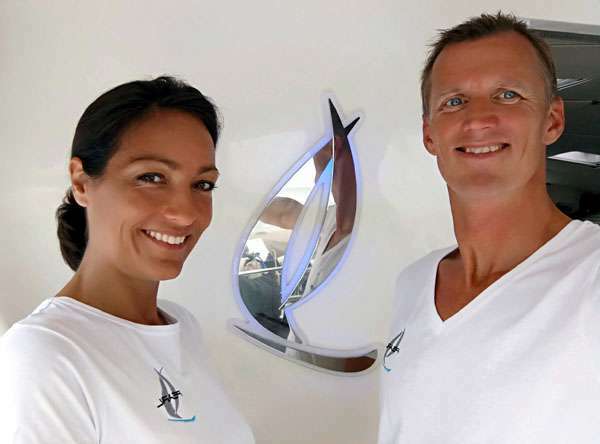 Her passion in education and anthropology led her to Bali in 2007, where she met Stefan and initially came aboard his yacht as crew... after 10 years and 18,000nm together, she has finally been promoted to first mate. Chloe's extensive travels have inspired her international cuisine, which favours fresh, healthy, rainbow-colored and seriously flavorful recipes. Italian, Spanish and Greek food is at the forefront of her culinary repertoire, as well as more exotic influences from South East Asia, India and Morocco. Chloe's lifetime dedication to yoga practice has led her to getting certified in teaching Ashtanga yoga. In her free time she can be found practicing yoga, playing the guitar, island-hopping on the SUP or freediving. Growing up in northeastern United States on the barrier islands off the coast of New Jersey, Jakes love and appreciation for the ocean had developed from a very early age. Jake grew up surrounded by a family of divers, sailors, and fisherman; and in 2010 they traded their life in New Jersey for the warm waters off the pacific coast of Costa Rica. 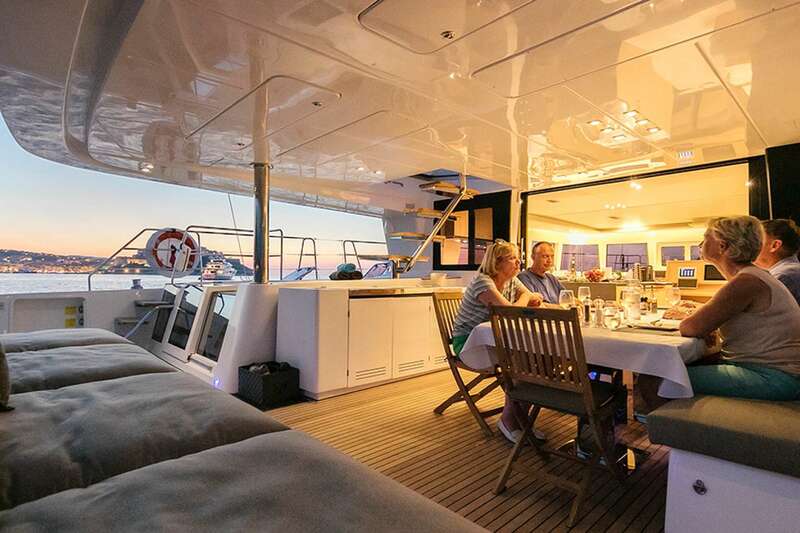 The next few years of his life were spent traveling throughout Central America and in 2015 Jake was introduced to the yachting industry. 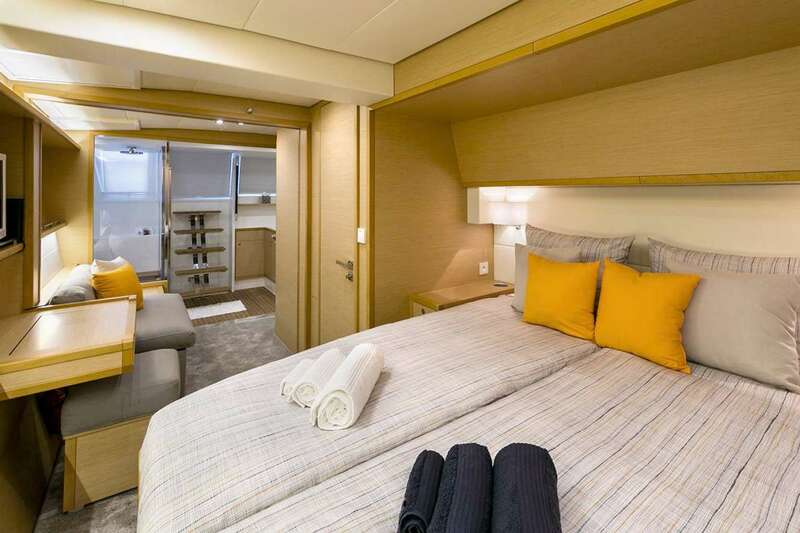 In 2016 after completing his high school diploma, he found his first job in the industry as Deck/Stew onboard TradeWinds flagship class where he chartered for a year traveling between St.Martin and St.Vincent delivering luxury sailing holidays. Jakes longterm goals are to obtain his Dive Master and RYA Yacht Master to prepare him for a lifelong career in the yachting industry. 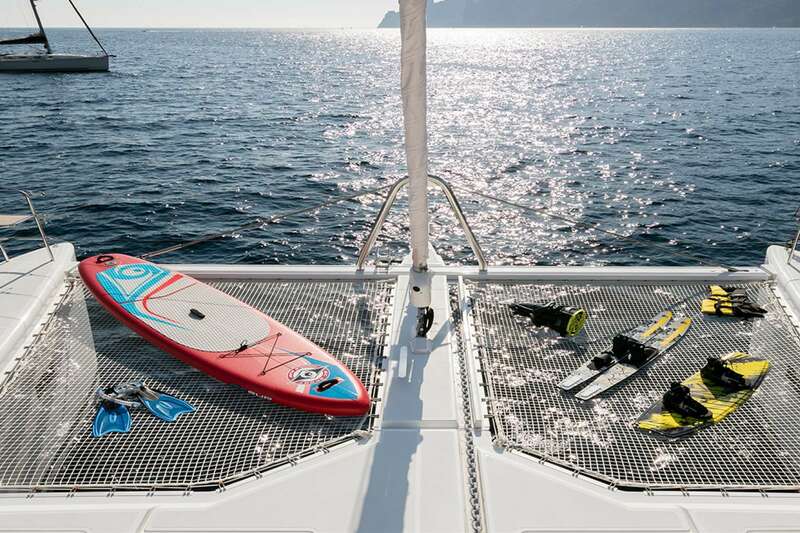 Kneeboards, monoski, noddles, floating bar, towing ring, board games. 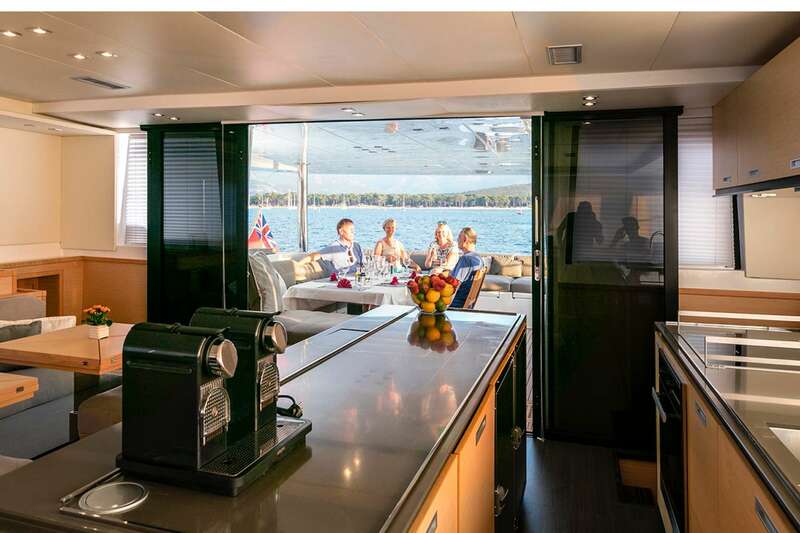 Beach towels, sun awning, sun bathing cushions Flybridge with bimini, cushions and table Deck shower Lifted Platform to bring the watertoys into the water and be an extra area for guests. 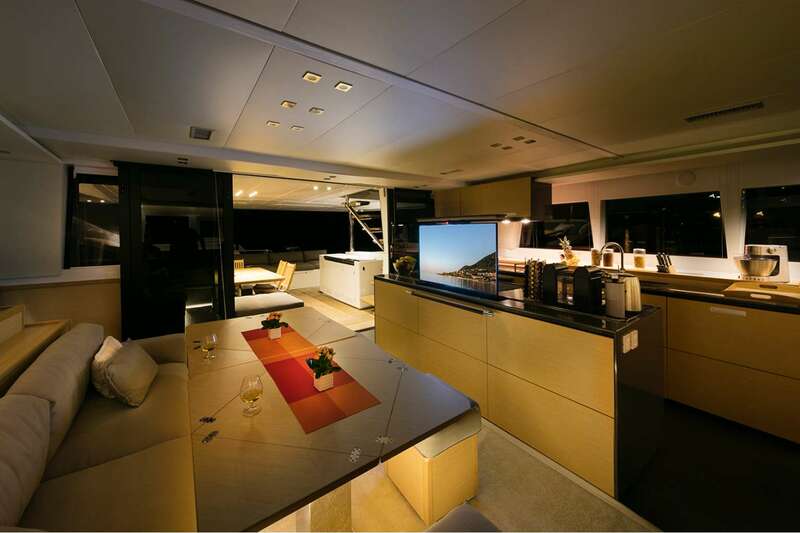 Small fridges for drinks in the cockpit & the flybridge- Free service for guests.